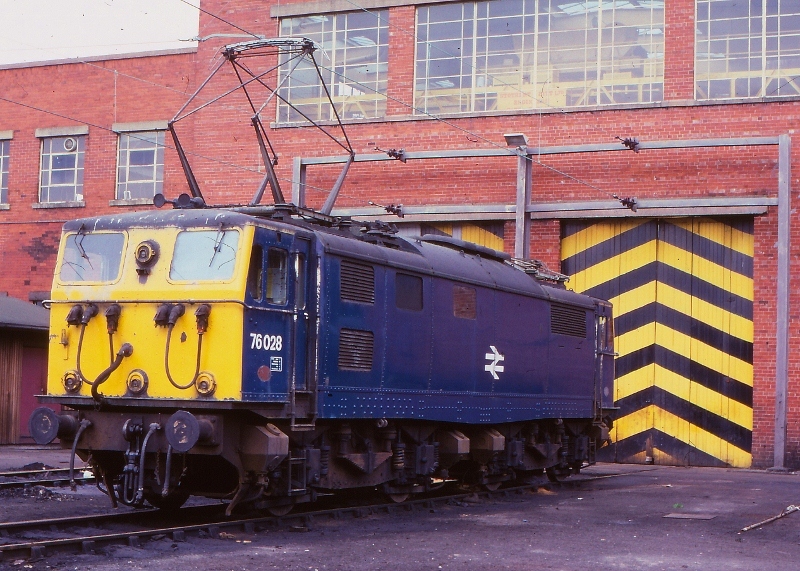 Martyn Hilbert's Railway Photography - BR Blues - Class 76, 76028 at Reddish Depot. Class 76, 76028 at Reddish Depot. 1500vDC Class 76, 76028 stands with one of its pantographs stretched high, stabled outside Reddish Electric Depot on the 31st August 1980. The Woodhead route had only 11 months of operation left, before closure in July 1981.